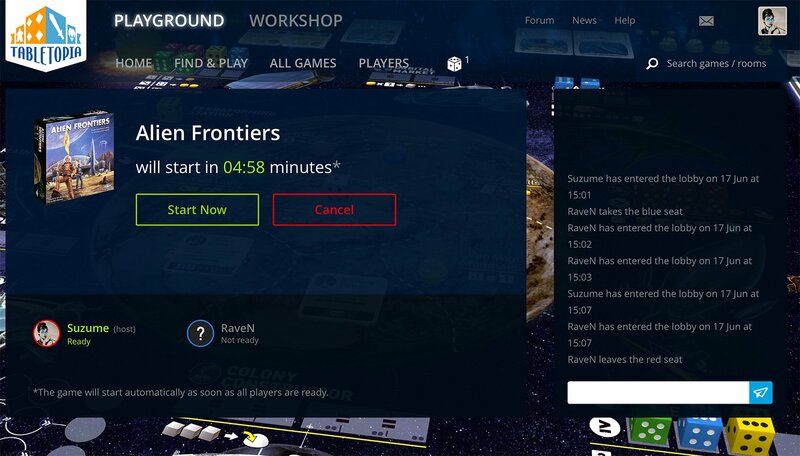 Today we are releasing the “ready check” feature on Tabletopia. This feature will let players check in for the game before it begins as well as allow for synchronizing the start of the game for all players. Once the game host starts the game, the pre-game lobby will appear where players will be able to check ready and see the statuses of other players. During the 5 minutes before the game begins all players need to set their status to Ready, otherwise the game will not start. The game will begin automatically once all players set their status to Ready. If any players choose to leave the game, the game host will be able to change the setup and continue with the game or cancel its start.